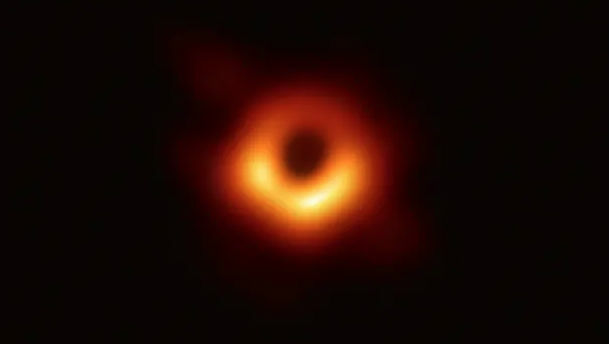 In an epoch-making event for astronomy, scientists unveiled the very first image of a Black Hole on Wednesday. Till date, the world had only heard of a black hole but there were no means to visualise. With the revelation, we can finally know what a black hole looks like. It was announced by astronomers working on the Event Horizon Telescope Collaboration through simultaneous press conferences in Brussels, Shanghai, Tokyo, Washington, Santiago and Taipei. Black Hole Live Streaming: When and Where to Watch The First Picture of Sagittarius A, The Center of Our Galaxy Revealed by Event Horizon Telescope. The image of a dark core with a flame-orange halo of gas and plasma shows a supermassive black hole 50 million light years away in a galaxy known as M87, said a statement at the press conference. First Ever Pictures of A Black Hole Expected to be Released in 12 Hours’ Time. What went into the capturing of a black hole on camera is an astonishing tale of perseverance and technical wonder. The power of eight radio telescopes around the world was used via Very-Long-Baseline-Interferometry, said the European Southern Observatory. A black hole is identified by the particles around it as its gravitational pull brings in objects such as gas and dust of which some settle into an orbiting disk, with atoms jostling one another at extreme speeds. All that activity heats the matter white-hot, so it emits high-energy radiation which can then be captured by the telescopes, according to the explanation provided by sciencenews.org.